Don't be mislead. College recruiting can often be confusing. College Coaches Don't Recruit Online? Do colleges locate and recruit prospects online? Generally, they do not. Colleges will use the internet to gather recruiting information on potential prospects only if the information comes from a proven trustworthy source, like NSR. There are thousands of athlete profiles online. Most of these athletes are not true college prospects and coaches don't waste their time checking them all. The information contained in these profiles is often exaggerated and inaccurate and college coaches are not fooled. The opportunity to play college sports must be earned, and posting your profile online doesn't make you a prospect and does not convince college coaches that you are a prospect. You must first have the qualifications to play college sports. If you do, and if you are enrolled with National Scouting Report, the web can be a tremendous tool for up-to-date scouting information on you. NSR was the very first organization to use the internet for scouting and recruiting. Today, college coaches still rely on our prospects information as evidenced by our website hits each month. Why do colleges use NSR if they do their own recruiting? Recruiting and scouting are not the same thing. NSR is a scouting company that provides colleges with prospect information they need to initiate the recruiting process. NCAA rules allow only college personnel to be involved in the actual recruiting of a prospective student-athlete. However, athletes must be scouted before they can be recruited. Because of strict NCAA rules and limited recruiting budgets and personnel, it is difficult for individual coaches to scout prospects nationwide. This is where NSR plays an important role. NSR's field scouts locate good prospects, pre-qualify them and then provide college coaches with comprehensive reports and evaluation videos. NSR has worked with colleges since 1980 so college coaches know and respect our personnel and their judgments. Because of our long-standing relationship with coaches at every level across America, NSR athletes enjoy a huge recruiting advantage over prospects who attempt to get noticed the old school ways, that is, by promoting themselves and hoping they will be seen at a club/travel event. Why do we need the NSR program if colleges already know about all the good players? It is a myth that colleges know about all the good players. You may attend a small school or be on a losing team or play a position on your team that would eliminate you as a college prospect for that position which is a common situation. You might not receive help from your coach. You might be a late bloomer. Or, you might be involved in a minor sport which receives little or no publicity. In these cases, most college coaches probably won't know about you. Recognition, of course, is only the first step in the recruiting process. Being known by college coaches actually means very little. Convincing them that you are the best prospect for their program is the key. This is what NSR does for you. If my coach recommends me to some colleges, will that get me a scholarship? In most cases the answer is no. Years ago, when your parents and coaches were in high school, a coach's recommendation was enough to get a prospect a scholarship offer, but this is rarely the case anymore. Every high school coach recommends players, just like you, but the volume of players qualified for college sports has grown far beyond the number of scholarships available. Many players now must compete for the same scholarship. A prospect must have exceptional talent, good academics and high personal standards in character and ethics. Coaches closely screen and thoroughly evaluate a prospect before awarding a scholarship. The in-depth information they receive from NSR is often the determining factor in this decision-making process. Why do we need NSR if our child wants to attend a college close to home? There are two mistakes in this approach. First, it is problematic to assume that any of the college programs close to your home will have a specific need which your child meets or that the coaches have not already identified the prospects they want to make offers to. Being local does not give you an advantage. Second, it is a mistake to predetermine which college you want your child to attend. Your child is better served by being promoted more widely, regionally or even nationally. 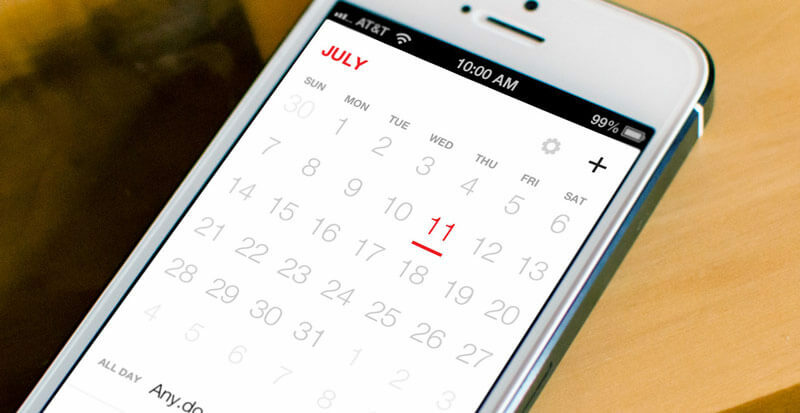 This will allow you to field and compare your options when the time comes for a decision. You may still choose a local college, but you will know that your choice was based on several important considerations, including the opportunity for your child to get the best education while still being able to participate in college sports. Moreover, a local college is more likely to make an impressive offer to your child if he or she is being recruited regionally or nationally. 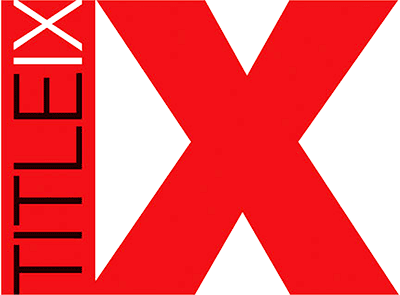 Sometimes known as the Gender Equity Rule, Title IX is a federal law and not an NCAA rule. Basically, it requires schools to provide women with the same educational opportunities as well as athletic facilities, funding and advantages as the male athletes at the same college. Further, it means both men and women should have equal opportunity to receive an athletic scholarship and to participate in their sport. Colleges are required to provide scholarships in women's sports proportionate in numbers to those given in men's sports. To comply with this law, many colleges have had to establish new women's sports programs. Since they often have only a small recruiting budget for these sports, they rely heavily on outside sources like NSR to help them scout qualified prospects. NSR has enjoyed phenomenal success in placing athletes in women's programs nationwide over the years. Why does NSR charge athletes, instead of colleges, for their services? The parents of individual athletes pay for our services because of NCAA rules. Colleges are not allowed to pay agents or agencies for recruiting services if these companies make personal contact with the athletes. If we accepted compensation from colleges, we would become their agent and therefore come under their NCAA recruiting guidelines. We can establish our own qualifying standards for athlete acceptance and assure coaches we only recommend top quality prospects. We are free to scout and make personal contact with prospects as often as we wish without jeopardizing their eligibility or causing the colleges to break any NCAA rules. This is an enormous advantage for prospects. When NCAA rules do not allow contact between a coach and prospect, NSR scouts may serve as a go-between which is within the rules. Do colleges recruit players on club teams? Yes. The traditional method of college coaches scouting only high school contests and talking to high school coaches about their prospects has changed. In fact, we rarely see coaches attending high school contests. Instead, college coaches go where the better players are competing, which means club or travel competitions. College coaches spend a big part of their recruiting time attending tournaments and showcases to scout and evaluate potential prospects. In some of the larger events, there could be hundreds of teams and thousands of prospects competing. Obviously, all of the college coaches attending can't scout and evaluate all the players. In fact, coaches are not there to discover players. They are looking at specific players they already know about. If you are a prospect who wants to be noticed by college coaches, you must get their attention and create some interest before coaches come to scout these events. Your objective is to get on their recruiting list. It's up to you to see that they have all your statistics, know your strengths and potential, and have video readily available demonstrating your skills. If you are enrolled with National Scouting Report, we will see that every coach attending, as well as those not attending, has all this information on you before they arrive. When will I receive college questionnaires? Colleges are allowed to send questionnaires to prospects when they become a high school freshman. However, this only happens once colleges become aware of you. Most good players should start receiving questionnaires by their sophomore year. Questionnaires are a great indicator of where you are in the recruiting process. Even if you are a decorated player, if you are not receiving questionnaires, that means coaches do not know about you, your abilities and your qualifications. If I receive a lot of questionnaires, does this mean that I am being recruited by these colleges and they are likely to make me an offer? No. College questionnaires are not an official part of the recruiting process. This is why colleges are not restricted by NCAA rules from sending them. Receipt of a questionnaire from a college means they know who you are, but it does not mean they are formally recruiting you.. Colleges send hundreds of questionnaires to potential prospects. Most are weeded out through the scouting and evaluation process as the coaching staffs learn more about each prospect. The better the information they have on you, the better your chances are of not being dropped from consideration. If you have not received questionnaires and you are already a junior in high school, it is very likely you are being overlooked and you should be seriously concerned. I f you qualify, NSR can help give you the necessary exposure quickly and continuously. Is a video important to college recruiters? Absolutely. Most college recruiters say that a quality personal evaluation video is the single most valuable information source used in the scouting of an athlete. However, bad or incomplete videos, like the short video clips sometimes posted on the internet, are really useless. They do not show the types of abilities college coaches need to start the recruiting process. 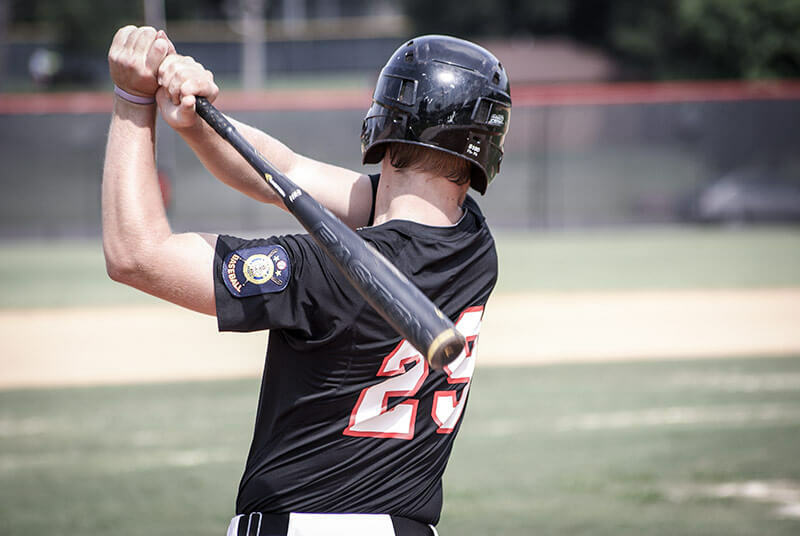 Usually, college recruiters cannot personally observe most prospects that they recruit and therefore they have to rely on good quality video to properly evaluate a prospect. Many prospects are eliminated from consideration at this stage of the recruiting process because prospects are unable to provide coaches with quality video to use for a more in-depth evaluation. For the past 25 years hundreds of colleges, at all levels, have depended on National Scouting Report to provide them with these top quality prospect videos. Perhaps more importantly is that nearly every NSR prospects' skill and/or game footage is available on their websites for coaches to evaluate in their office, at home or when they are on the road scouting and recruiting. When can college coaches contact me? NCAA rules are very strict regarding college coach contacts. A coach usually cannot contact you until your senior year and even then these contacts are limited. Personal contact occurs during the last phase of the recruiting process, so you must be proactive and make them want to recruit you. The NSR Game Plan puts you in touch with coaches when the rules allow. 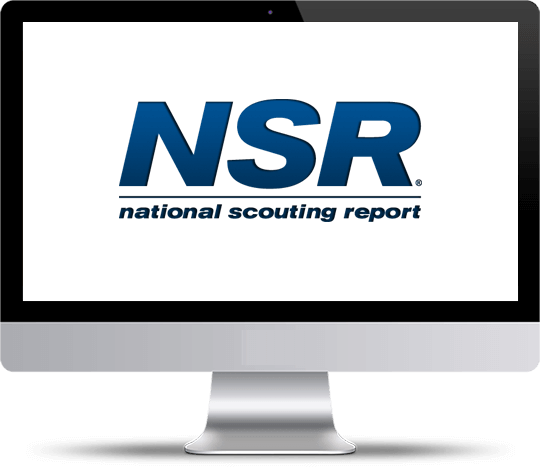 Your NSR scout will guide you through the process to make sure that you and your family are complying with all recruiting rules. Prior to your senior year, your scout can contact coaches for you and even help to set up unofficial campus visits to get acquainted with a college, the coach and the team. 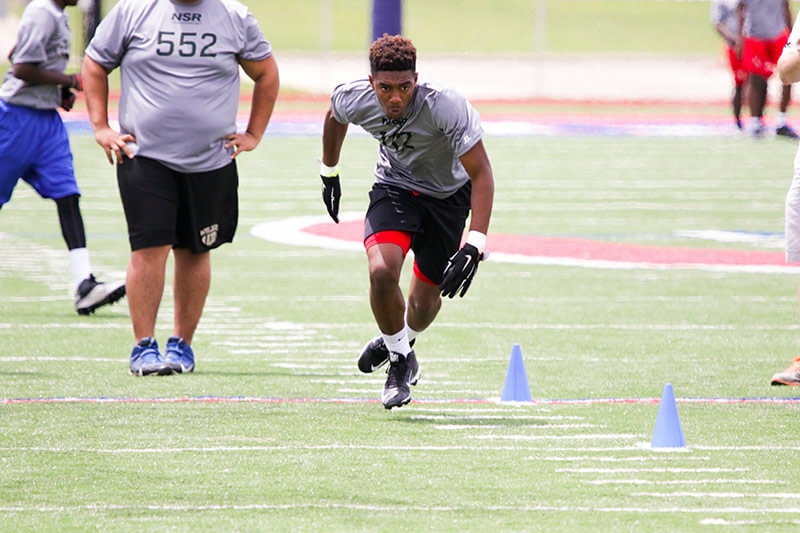 What percent of NSR prospects receive offers? Many colleges contact our prospects. We have no way of knowing exactly how many offers each athlete receives or the value of each scholarship since we are not a party to the college scholarship offers. However, according to our surveys, over 90% receive offers. In some minor sports, up to 100% receive offers. NCAA rules prohibit scouting services, including NSR, from being directly involved in scholarship offers or from taking a fee based on an offer. And, scouting services cannot offer enrollment discounts. All fees must be consistent. When should I enroll with NSR? If you are in high school, you should enroll just as soon as you are considered a legitimate potential college prospect in your sport and have been qualified by an NSR scout. It is never too early. Colleges begin their recruiting interest as early as the ninth grade. The sooner coaches receive your scouting reports and recommendations from NSR, the better your chances are of being noticed, evaluated and recruited. Even your freshman year is not too soon. Should I attend an athletic combine? Attending an evaluation combine to demonstrate your individual athletic skills can be a good way to document these skills for recruiting purposes. However, it can be a double-edged sword because while a combine can demonstrate your good skills it can also shed light on your bad ones. This could actually do you more harm than good. College coaches rarely attend combines even though promoters usually advertise that hundreds of college coaches have been invited to attend. However, if you feel that you are in excellent condition and fully prepared to perform at your best, a combine can be an excellent showcase for your talent and is a nice addition to your resume. Will NSR guarantee me a scholarship? No. But, we will guarantee that you will not be left out of consideration because colleges did not know about you and your qualifications. You will have the opportunity show every college in the country how much you want to play and how well you have done athletically and academically. On video, you can show them what you can do. If you are truly capable of playing at the college level, chances are very good that you will have the opportunity to do so. Without the help of NSR, however, you may find yourself competing with athletes who have equal ability, but have the advantage of being enrolled with NSR. Consistent and continuous quality exposure brings results.